Get the most out of your visit to the California Solar Expo by attending SEIA’s Annual Codes & Standards Symposium! Stay current on the on-going development and completion cycles of the relevant requirements and help shape the future of solar regulations. Together we will ensure that solar is a viable and thriving market. SEIA's Codes & Standards Symposium is specifically designed by and for solar codes & standards professionals and their colleagues in research, design, engineering, regulatory affairs and marketing. This symposium will cover the most up-to-date, impactful issues that have the potential to drive further expansion of solar as well as those issues that have the potential to constrain solar growth and how to best address those challenges. Solar codes and standards are part of a dynamic electrical, mechanical, structural and safety-oriented architecture that advances how solar and accompanying energy storage systems are installed. One of SEIA’s key goals is to support and represent its members and industry in many of the relevant forums such as the ICC, ASCE, NEC, UL, and NIST nationally as well as with building and energy commissions in key solar state markets. Demonstrate your industry leadership by sponsoring the Symposium the SEIA Codes & Standards Symposium! Click here for our sponsorship flyer or email sponsorship@seia.org for more information. Building on the success of our prior annual conferences, this year’s Codes & Standards Symposium will focus on solar in real-life. How do codes and standards enable the growth of solar through solid performance for safety, resilience, and actively addressing hazards? In the opening session, and throughout the day, we will discuss how codes and standards continue to increase solar confidence and performance, while proactively leading increased adoption and industry growth. Energy storage systems (ESS) are growing at an exponential rate due to technological benefits, policy support, and favorable market factors. Standards and codes continue to evolve to better integrate these systems into electrical and physical domains. UL 9540’s requirements for safe ESS operation now has new requirements for potential fire hazards from battery ESS installed in or near mixed use buildings. Model fire codes and the future NFPA 855 installation standard limit the amount of battery ESS energy and restrict the separation distances unless large scale fire testing is accepted by the local Authority Having Jurisdiction (AHJ). For that exception, UL published a new bi-national standard Test Method (UL 9540A) to determine the necessary protection needed and we will the relevant standards and codes including UL 9540 and UL 9540A, the NEC, NFPA 855, and the IFC. This session will explain corrosion and define issues relating to the use of dissimilar metals, different ISO Service Environments, soil corrosion, and the design life of mounting systems for 25-year frames. Additionally, this program will describe codes and standards related to corrosion, and investigate the design life of frames and piles and incorporate a review of case studies featuring in-ground and atmospheric failures and successes. Codes and standards related to corrosion will also be addressed. Creating codes and standards for wind loads and structural behavior presents some hot button issues, including what can go wrong in the real world. This panel will discuss wind and structural issues for residential, Ground Mount/Canopies, and C&I Flat Roof solar. We'll cover codes and standards updates in ASCE 7-22 and UL2703, and how the standards work together (or not). An open discussion will follow with the panelist on issues like the breadth and depth of current and developing regulations, their impact, and what industry should address. During the break, we will host a live demonstration of the Junker’s vibration test (prescribed by DIN 65151), which tests the self-loosening behavior of fasteners under transverse loading conditions by vibration testing. Hide Araki, Business Development Manager, Nord-Lock Group will discuss the implications for solar standards. Renewable energy systems – and especially those paired with battery storage – are important components of our nationwide conversation regarding the importance of improved resilience. In this session we will review findings and recommendations about recent, extreme environmental events from external stakeholders, including: FEMA, Rocky Mountain Institute, and others detailing performance of roof- and ground-mounted PV systems during Hurricanes Irma and Maria in 2017; FEMA, which is developing a report on Hurricane Michael’s 2018 landfall in the mainland; and the California Division of State Architect – Structural Safety (DSA-SS), which is actively working to improve Quality Assurance for PV parking lot structures at public schools. As many failures originate at structural connections, speakers will discuss fasteners as an important topic for improving resilience. The panel will introduce standards and test methods for evaluation of vibration-induced loosening of fasteners, address installation concerns, and discuss the importance of fastener specification and installation. Grid interconnection requirements have become much more complex and specific. For example, they now require inverter performance to stabilize and maintain the grid when the voltage and frequency approach and enter abnormal operation conditions with and without dispatch directives. Grid interoperability is becoming increasingly important as the nation’s electric grids become less centralized and more distributed networks. This session will highlight the existing and upcoming common compliance criteria being required of grid interconnected systems with a focus on California. Panelists will provide an overview of the ongoing changes to the new advanced / grid support utility interconnection requirements from UL1741 Supplement SA, specific PUC requirements for California and Hawaii, and the new editions of IEEE 1547 and IEEE 1547.1. Advanced utility compatible inverters, advanced protection relays, and updated communications and other topics will be also discussed. SEIA values sustainability. 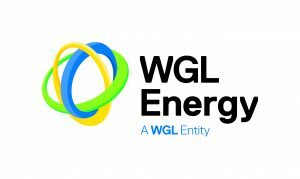 In July 2018, SEIA and WGL Energy Services, Inc. (WGL Energy) announced a new Clean Energy Partnership to green the electricity use and offset the greenhouse gas emissions associated with SEIA's office, travel and events. 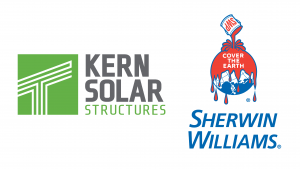 Through this 2018 - 2019 partnership, WGL Energy will annually provide SEIA with 373 solar renewable energy credits (SRECs) and 552 Green-e® Climate certified carbon offset after calculating approximate emissions from SEIA staff travel, commuting, event attendee travel, and office and event electricity usage. Click here for more information on sustainability efforts at SEIA.